Kenichirō Sasae, based in Tokyo, is a Senior Advisor at ASG, where he advises clients on market entry, investment, and growth strategies. 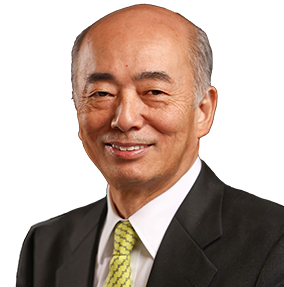 Ambassador Sasae brings decades of distinguished experience working at high levels of Japanese government, including as Vice Minister of Foreign Affairs. During his 44-year career with the Ministry of Foreign Affairs, Ambassador Sasae also served as Japan’s ambassador to the United States, Director-General of the Economic Affairs and Asian and Oceania Affairs Bureaus, and Executive Assistant to the Prime Minister for Foreign Affairs, among other senior positions. He also served as Japan’s representative to the six-party talks on North Korea’s nuclear program and has worked at Embassies of Japan in the United States and in the United Kingdom, and at the Permanent Mission of Japan to the International Organizations in Geneva. He is currently the President of The Japan Institute of International Affairs in Tokyo. Ambassador Sasae earned a Bachelor of Laws from The University of Tokyo.